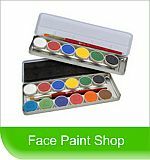 While you search for a face or body artist in our USA directory, don't forget that you can also buy any face paints and other products by clicking on the image below. 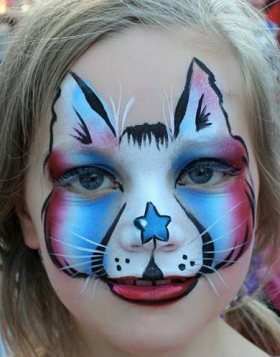 Another way to find a Face Painter in the USA directory is to scroll down to the list of Artists lower down in this page. Face Painting by (Transformations-By-Tina-Face- Body-Art) Click on the image to go to Tina's Blog and see more of her work.